Maintain an attractive lawn and grounds with the lawn maintenance services from Greenland Landscaping in Queens, New York. With our Lawn Care Program, we offer great service at super savings using the very best fertilizer and weed control products. It costs less than doing it yourself, and we guarantee you’ll be satisfied with the results. 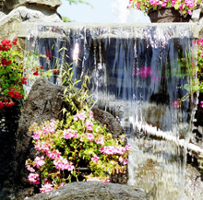 Contact us in Queens, New York, to learn more about our watering techniques.